Heat oil in a skillet. Add tempeh (do not cut). Brown both sides for 3 to 4 minutes. Add water to cover tempeh. Add shoyu, cover the skillet. Simmer 15 minutes. Remove cover and cook, over a high flame, until all liquid is gone. Remove tempeh and slice into strips. Place several slices of tempeh on each sandwich. Spread equal amounts of mustard on the other bread slices. 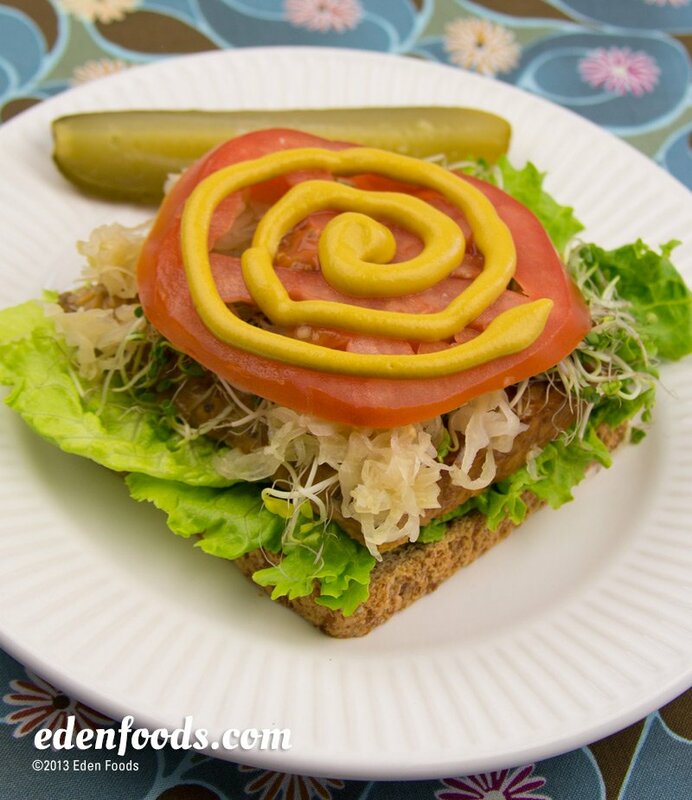 Place equal amounts of sauerkraut, lettuce, sprouts and tomato on each sandwich. Serve. Great for lunches, picnics, camping, travel or anytime!